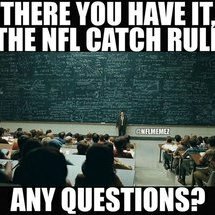 and what if colbert and his crew fail with the draft pick? This is why getting a proven Vet is of more value to me at this time. CB Peterson would be a proven Vet with a few good years left. That is one example, and there are others I suppose but I haven't looked into it. I would think an elite CB, Edge would be about it for me. Maybe if ET was tradable I would add him but he isn't. Ideally they team gets al the UFA signings done first, then the AB trade, but will that be the sequence? Not when Amari Cooper went for a 1st. Amari isnt even top 5, maybe 10 and AB is the best in nfl. AB has been the best for 5 years with the occasional times where others could possibly included. Stats wise , he is the #1 and has been and will continue to be on a legit team. He should be a proven vet and RD1 pick at least . Now, is a team going to fool colbert into accepting a trade for an often injured vet or a player that isn't suitable for this scheme whatever scheme this team is running? Imagine trading AB for a dupree/burns player or Burnett and draft the RD1 pick with an Edmunds (reach) ? Just a thought . This trade will get all the media attention for years and if colbert fails, it will be known. Former players in the media won't forget it either, they will side with he elite player as long as the elite player is playing elite. 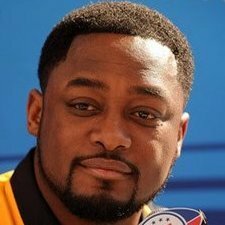 If both AB and Bell are on winning teams and in the playoffs while the steelers are out of the playoffs, the former player in the media will bring that up all any chance they get. I guess not terrible, but any trade to Arizona should have Patrick Peterson included. -- the logic I have here which isn't a lot is that Calvin Ridley had a couple of big games showed some potential but it don't think that Atlanta got quite what they wanted out of him in his rookie season they might look to upgrade and completely compliment Julio Jones immediately Julio of the guy that is said publicly he doesn't care about touchdowns he cares about winning it's a personality a b might be able to sit with so we come a wide receiver in return that we can build along with Juju and get to Quality picks out of it. Haha....no chance in hell they will pay two WRs that type of money. I wouldnt mind this, though. Hate the trade all around...even if it wasnt the Ravens. -- this is another one that's probably very unrealistic because the Chicago Bears have traded a lot of their pics in a trade involving Anthony Miller and a trade involving Khalil Mack. Not sure why you want to trade for borderline bust OLBs . Havent we had enough of them? - so my logic here is first of all the Browns are stacked with draft picks they can afford to let go of some and for a guy like Antonio Brown I completely believe they would. Christian Kirksey I think had some expendability on their roster because linebacker is an area where they're relatively deep. But they could go the other route since they drafted Nick Chubb who looks like he has a ton of ability and potential and get rid of Duke Johnson who we could use as a primary backup to James Conner. Then as a result we also get a second third, and 5th round pick but those are areas where the Cleveland Browns have multiple picks. I don't think it's realistic to think we even Trade A B to the AFC North but for the sake of what I'm doing here I think this is the most logical possibility for this team. Not crap....but I dont love it. - if the Detroit Lions were a player in the game Nevin Lawson makes the most sense because he is a guy where they could cut a ton of money and only take a small cap hit the contact would be five million dollars but they would only take one and a quarter million in a hit. I don't think they're going to part with the number 8 overall pick but they could easily recoup the corner position if they wanted to at number eight or go into free agency and get one and have the money to do so. Id take it, but no to Tramon Williams. Best value IMO, but same as Texans. Id like this.....but again, same as the last two....except they dont have a decent QB right now. - This is a team I think could be so close to a SB they may be willing to go all in for a guy they think could get them there. Value is good, but no chance in hell. No. Plus, they dont need AB. Id take it....but I dont want Alonzo. EDIT....on second thought, I dont like it at all. Id jump on it....but they dont need a WR. Hahahahahahahahaha....why dont we just trade them all of our SB trophies as well? -- More guys drafted by the previous regine, one that's been prone to injury, and their extra 1st for a game changer. We dont need more busts in the secondary. Worst trade suggestion by a large margin IMO. Nice job in putting this together. Hopefully the Steelers can fleece someone. I would love to see a way to pry Tremaine Edmunds from Buffalo somehow. I don't know if this has been discussed already in the off-season thread, or the other 'Trade AB' thread, but if there is ONE thing, over the years, the Steelers have been fairly consistently go of at is letting go of players at the right time; I'm not saying AB won't be 'good', or even 'great' for someone else, but I doubt he'll be 'magical'. They would not entertain this scenario if they felt that Antonio was still 'too special' enough to keep around; they must see some slowing down in AB's game, preparation--something--for them to even entertain this. The biggest exception to this would be Emmanuel Sanders, but let's be clear--Sander is thought of as a 'Very Good' WR--not a 'game changer'. ...sorry all, you know me and my rants sometimes!! I doubt the Cowgirls would do it, but I'd trade him straight up for Vander Esch. he has been quite a rookie this season. I would want an additional pick, but Jerry won't trade his star rookie. why trade steelers best WR for a RB that won't see many snaps. Even if the steelers decide on a rotation of for depth reasons, Chubb will still be at the mercy of ben wanting to pass the ball more than run it. Might as well keep ben happy and get another WR because the RB would be a waste unless somehow the steelers decide to run more . Whats annoying about these trade mocks is that many of these players could have been drafted but colbert wasted our drafts. For me I can only see a few players+picks I would trade for . Elite CB would be a start but Edge I would go UFA for since this is a good offseason for that. "Now they may actually seek them. They may go out and say, 'What could you possibly give us for one of the game's premier receiver?'" Rapoport said. "The consensus is they could probably get a second-rounder-plus, maybe a second-rounder and third-rounder, probably not the [first-round pick] that the Cowboys got for Amari Cooper, but this is one of the best players in the NFL, so at the very least they should be able to get significant return." I'd rather get a good young player than a pick. Unless it's a virtual no brainer like Bosa or Josh Allen. Remember the Randy Moss trade? Napoleon Harris (solid average player) and the #7 pick plus a 7th rounder. Moss was 28, and the best WR in the game by a mile, but had those character issues that created distractions like Brown has. Way better player than Brown is in my book. They insisted they use that pick on a WR, and wasted it on Troy Williamson, who could get open as good as anyone I've ever seen, but couldn't catch the damn ball. The 7th was on a CB named Adrian Ward who never played for them. So lets say they do one of these trades mentioned here, for a mediocre LB and a 1st, but the LB is just a dude, and the 1st is wasted on a bust like Jarvis Jones or Bud Dupree or Artie Burns. Then it looks rather bad. So my #1 choice would be Leighton Vander Esch, if the Cowboys would part with him. He was my #1 guy in last year's draft and checks every box for our biggest need position. He's a backup behind Lee in Dallas. They might do it because they have Sean Lee and Jaylen Smith, who are considered stars by many. Steelers should've traded up for him last year. Would've made a lot more sense to burn a 1 and 2 to move up and take him, than waste those picks on what they did. o my #1 choice would be Leighton Vander Esch, if the Cowboys would part with him. He was my #1 guy in last year's draft and checks every box for our biggest need position. He's a backup behind Lee in Dallas. They might do it because they have Sean Lee and Jaylen Smith, who are considered stars by many. Steelers should've traded up for him last year. Would've made a lot more sense to burn a 1 and 2 to move up and take him, than waste those picks on what they did. I normally don't , and btw I believe I gave him that nickname If they let AB go for nothing, it won't go over well here thats for sure. Right though, beware of crapaport . I don't even think the Cowboys could afford Brown. I'd take Chris Harris and a pick or two. I don't think the Broncos part with him and a top 10 pick. But what if you can get their 2nd and 3rd? And it's not a cap killer. I'd take Harris over Peterson. why Harris instead of Peterson? I doubt Fangio ships out Harris.